Constellation Records will never let you down. Somewhat akin to a collective like Broken Social Scene, the post-rock gurus from Montreal, Canada seem to have a cache of musicians to choose from. Members of bands like Godspeed You! Black Emperor, Silver Mt. Zion, and Set Fire to Flames all seem to know each other, and probably all sit around eating croissants while watching reruns of Amos and Andy. Cellist Beckie Foon met percussionist Bruce Cawdron while both were participating in the Set Fire to Flames project, an experiment that is often considered to be a GY!BE side-project which produced eerie and minimalist atmospheres while the members were in a state of little or no sleep, intoxication, and physical confinement. Though it is one’s natural inclination to do so, Esmerine should not be thought of as merely another side project. After forming in 2000, Beckie and Bruce wanted to derive from the guitar based sounds of their lineage and instead focus on sounds rooted in cello and percussion. Taking inspiration from classical and chamber music, this instrumental band produces incredible soundscapes that come at a more soothing pace as opposed to the slightly more tense and abrasive sounds of their counterpart. Lost Voices is, as the artwork might suggest, quite soothing. It does harken back to the familiar post-rock sounds of GY!BE and ASMZ, but where it differs is on a more transcendental level. The aforementioned bands might lead you down a path you know where you’re going. It might be melancholy, disturbing, exciting.. but Esmerine leaves you with a big question mark. There is a mellow vibe to each track, but it’s uncertain if you’re getting a vibe of peace and serenity, or a more foreboding one. Instrumental bands and tracks are often privy to interpretation, I may have to apologize for the vagueness in my description of Esmerine if you, the reader, is unfamiliar with post-rock or Constellation Records. 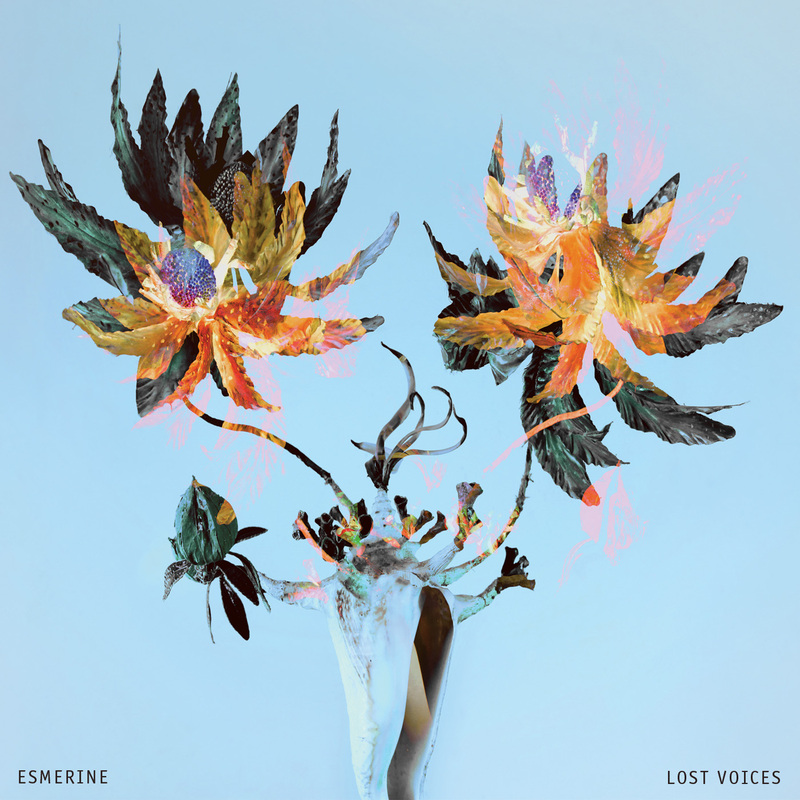 After hearing this record, there is absolutely no reason why Esmerine should have to live in the shadows of ASMZ and the more widely known GY!BE. Esmerine shows amazing talent and an ear for pleasing sounds that make you constantly ask questions as to it’s intent. I found myself very relaxed and at peace while having an undertone of discomfort. I suppose not everything is so black and white that you can just feel what you choose everyday.